Auto accidents that involve a large truck have the capacity to be very serious. Injuries can be significant, and heavy damage will likely occur to your car. If you have experienced a crash with a truck, it is important for you to receive professional legal advice. The team at Philpot Law Firm PA is ready to help you get the compensation you need to recover from your injuries. There may be many responsible parties who can be liable to pay you damages as a result of an auto accident involving a truck. 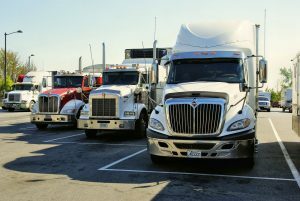 These may include the truck owner, driver, insurance company, freight company, contractors and even government agencies. Because of the complex process involved, it is important that you get reliable advice and assistance. We are ready to help when you need us most. You can trust our proven track record of success. Visit our results page to see a list of past accomplishments and examples of what we can do for you. The last thing you need during a period of recovery is a new source of hassle. That’s why we work around the clock to make this process as easy as possible for you. We will help you pursue the best legal strategy for your circumstances. When you are the victim of a truck collision, you should act now. Statute of limitations means that you only have a limited time frame in which to pursue legal action and file a suit. We will gather evidence, collect expert and witness testimonies, research police reports and prepare your case on your behalf. With us on your side, you can rest assured knowing that you chose a team of diligent seekers of justice.